Do you love funny Grumpy Cat memes as much as I do? I’ve been a fan of the grouchiest cat on the internet ever since I first saw her. Obviously I’m not alone, since she’s quickly become one of the most famous cats ever! If you’re looking for a little cat humor to brighten your day (and who isn’t? ), check out 15 of my favorite Grumpy Cat Memes! Grumpy Cat, born as Tardar Sauce on April 4, 2012. She obtained the name, Grumpy Cat, because of a type of feline dwarfism, resulting in a grumpy facial appearance. Grumpy Cat has made numerous media appearance, including Good Morning America, CBS Evening News and American Idol. She has her own website at www.grumpycats.com along with several social media accounts. Currently, her Facebook page has 8,759,161 likes, her Twitter account has 1,298,819 followers and her Instagram account has 2,391,710 followers. Here are some of the funniest Grumpy Cat memes circling the internet. Valid point! “Text speak” drives me batty, too, Grumpy Cat! 2. I’m not done ignoring you! Don’t you just hate it when you’re ignoring someone and they leave? Or worse, they don’t even notice that you’re ignoring them in the first place? I’m the same way some days! Okay, so probably more days than I care to admit! Wouldn’t it be nice if that “escape” key was an instant portal to the beach? Better yet, a resort where people wait on you hand and foot! You know how when you block someone on Facebook, they simply cease to exist for you? Wouldn’t it be great if that was true in real life? They could go about their lives, but even if they stood right next to you talking to your best friend, you wouldn’t see them! FYI, Grumpy Cat is a girl, and Venus is NOT Photoped! NatGeo explains that she may have different DNA on each side of her body. Crazy, right? Sorry, Tuesday, but you’re really not all that much better than Monday! Still too far from the weekend to really be appreciated! Does resisting the advice to go to the gym count as exercise? Yes, Grumpy Cat, I believe it does! 9. Are you new here? I think my cats would say the same thing to me! Why do cats love to lay on things like the counter so much? I buy them ginormous cat trees and still they choose the counter! This is probably one of the most popular funny Grumpy Cat memes! Who wants to have fun when you can stay inside and nap? 11. No, it’s not a good morning! First, let’s just take a moment to appreciate the talent that goes into creating such art out of cappuccino foam! Second, it doesn’t matter how beautiful my coffee looks, it’s still not a “good” morning until it’s noon! Stan Lee and Grumpy Cat together? Yes, definitely the greatest picture ever! For those of you who aren’t comic book fans, Stan Lee is pretty much THE reason that every member of The Avengers exists. 12. The Oscar Goes to the Iceberg! I still insist that there was plenty of room on that floating piece of wood for both Jack and Rose. In fact, Time Magazine shares that the famous Mythbusters prove that it was possible. 13. Don’t change, but don’t stay the same! Change may be inevitable, but that doesn’t mean you have to like it! Of course, it also doesn’t have to mean you like the way things are right now! This Grumpy Cat meme is a play on the State Farm jingle. I prefer this version, don’t you? I’ll leave you with this one (pun not intended)! I’m not sure which way you came in, but I can suggest a few ways to go out! 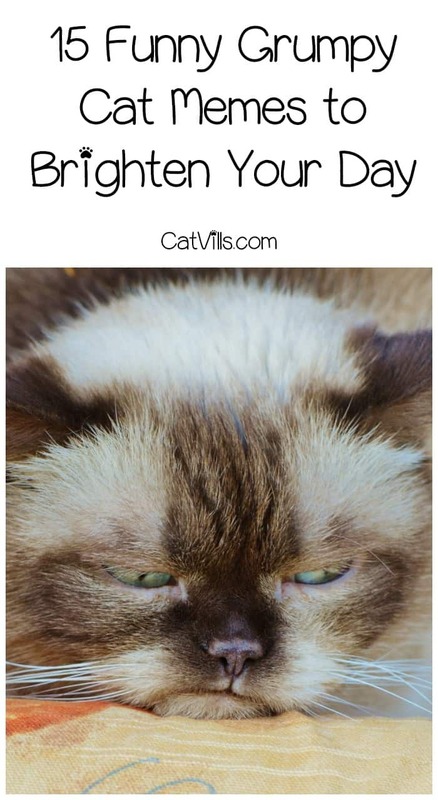 If you’re still feeling stressed after these funny Grumpy cat memes, head on over to check out 20 Cute Cats to Make Your Day Less Stressful! Do you have any favorite funny Grumpy Cat memes? Share below! Wow! 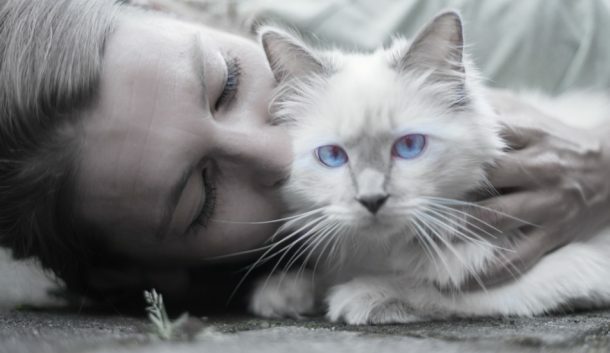 So many cute and incredible Cat you have there. Surely this will make cat-loving people happy. Well these grumpy cat photo’s were a great way to end my night and it’s just about midnight my bewitching er sleeping hour. Thanks for the laughs!! Amazing cat memes. They all look hilarious. Love them all.